Up to now, most of the Apple users many have updated to iOS 9. With the amount of iOS 9 users growing, problem comes up. After updating, the iPhone, iPad or iPod touch would freeze or get stuck on the 'Slide to Upgrade' screen.Some users have reported that their iOS devices freeze at the Slide to Upgrade screen and they aren't able to do anything. Apple has now acknowledged the issue and published a fix. For fixing the stuck, Apple has now released iOS 9.0.1 and add now more steps to try and get consumers' iPhone unfrozen. Here's the solution. Connect your iOS device to a computer. Then make sure that iTunes is open. While your device is connected, press and hold the Sleep/Wake and Home buttons until you see the Connect to iTunes screen. 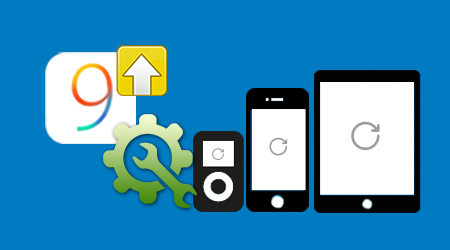 Once the restore is done, finish the onscreen steps to set up your device. Update your device to iOS 9.0.1. Go to Settings > General > Reset > Erase all Content and Settings. This will delete any content that's currently on your device. Then set up your device. When asked to restore from a backup, select either iCloud or iTunes and follow the steps to restore from your previous backup. Some people didn't remember to backup their iPhone/iPad data to iTunes or iCloud before fixed Stuck at 'Slide to Upgrade' Screen issue. If the situation occurs, don't worry. 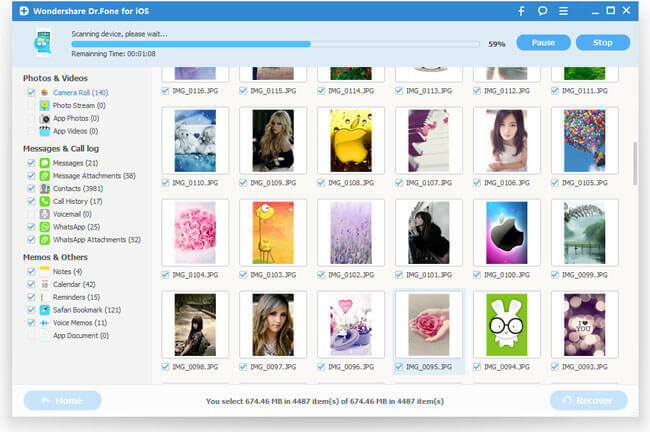 You still can restore your data from iPhone with Wondershare Dr.Fone for iOS. This iPhone/iPad data recovery software is fully compatible with Windows 10, iTunes 12.2.1, iOS 8.4/iOS 9, iPhone 6s (Plus)/6 (Plus)/5S/5C/5/4S/4/3GS and iPad, iPod Touch. It supports to recover iPhone/iPad data from device, iTunes and iCloud. But the kind of the data it can recover from the three ways differs. What it can directly recover from the device includes: Contacts, Message, Notes, Reminder, Call History, Calendar, WhatsApp History, Safari Bookmark, Facebook Messengers. All parts can be recovered from iTunes/iCloud backup not only contains the above items except Facebook Messenger but also includes Camera Roll, Photo Stream, Voicemail, Voice Memo, App Video, App Photos, App Documents. 1. Now deleted or lost messages from Facebook Messenger can only be recovered directly from iOS devices. 2. When your device is iPhone 4, iPhone 3GS, iPad 1, iPod touch 4, the iPhone/iPad data recovery tool supports to get back all data aforementioned, which all the three methods supports to recover from device directly. Recover iPhone/iPad data after fixed Stuck at "Slide to Upgrade" Freeze Issue? 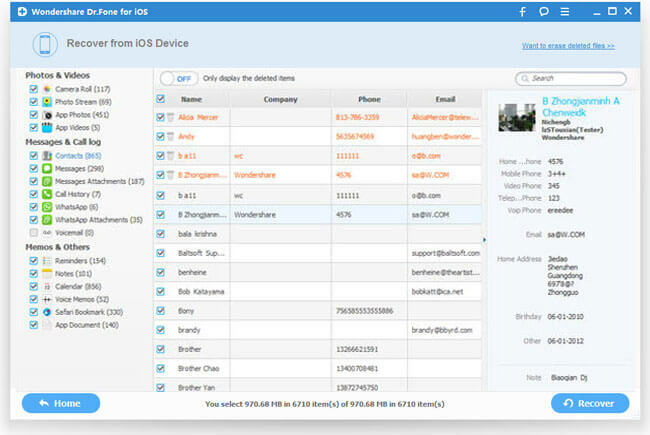 Launch iPhone/iPad Data Recovery Tool on your computer. Use the USB cable to connect your iPhone, iPad or iPod touch to your computer. By default, iPhone/iPad Data Recovery Tool wil detect your iOS device automatically and shows you the window for "Recover from iOS Device". Tips: Before running iPhone/iPad Data Recovery Tool, you're supposed to download the latest version of iTunes. To avoid the automatically sync, don't launch iTunes when running iPhone/iPad Data Recovery Tool. I suggest you disable the automatical syncing in iTunes beforehand: launch iTunes > Preferences > Devices, check "Prevent iPods, iPhones, and iPads from syncing automatically". 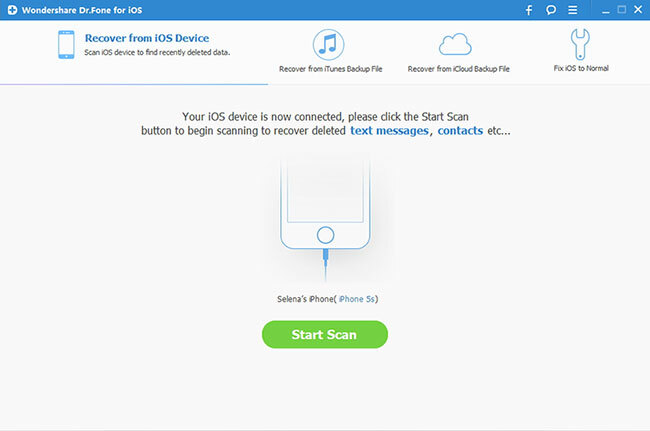 Simply click the "Start Scan" button to let this program scan your iPhone, iPad or iPod touch to scan for deleted or lost data. The scan will take you some time. Once it's completed, you can see a scan result generated by the program. Data both lost and existing on your device are displayed in categories. Now, you have successfully recover the lost data to your iPhone, iPad, iPod Touch when you fix Stuck at "Slide to Upgrade" Freeze. Wondershare MobileTrans: With it, you can transfer all your iPhone 6S data to Android phones or Symbian smartphones, no matter which network they run on, as long as you use a PC as a go-between. Wondershare Dr.Fone for Android: If you lost or delete data on your Android phone carelessly, you can use this app to recover Android phone data easily. Wondershare TunesGo: TunesGo enables you to transfer your desired music files/playlists from any devices to another, and manage, discover and share your music with ease. iFastime Video Converter Ultimate: With the product, you can transcode copy-protected Blu-ray/DVD, 4K/SD/HD video in any format to iPhone 6S/6S Plus, iPad Pro, iPad Mini 4, etc supported formats. How to Get Back iPhone 6S Photos from iCloud Backup? How to Recover iPhone Data without iTunes? 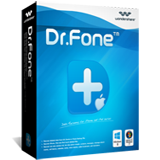 The professional Wondershare Dr.Fone for iOS is developed to recover all your lost contacts, messages, photos, notes, etc. from iPhone, iPad and iPod touch. Can I Retrieve iPad Mini Videos without Apple ID?